Lying in the heart of old Indochina, the small country of Cambodia is home to dazzling green rice-paddies and jungles dotted with temples and ruins, villages of thatched stilted houses, and small towns where Buddhist temples nestle amongst graceful French colonial building. 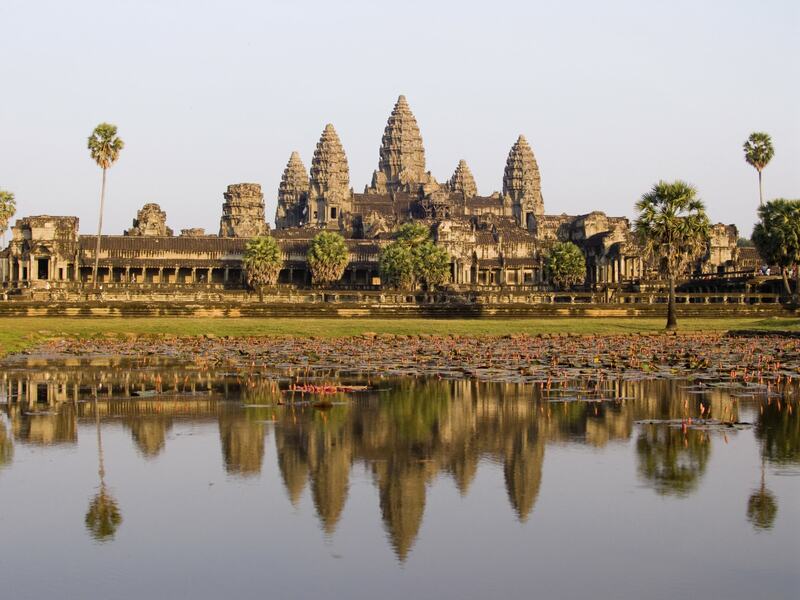 Our charity challenge starts in Siem Reap, ideally situated to explore the ancient capital of the mighty Khmer Empire. We trek for charity over the hills, through the valleys and dense forests of the surrounding area, ascending to the upper plain of Kulen Mountain. This region is rich not only in history, but in beautiful landscapes and the rural way of life, little changed for centuries. Our trekking charity challenge will be a hot and dusty, but the famous smiles of this remarkably friendly country will carry us on to our finish point at Angkor Wat, one of the most renowned and impressive sights in Southeast Asia.